23/08/2018: Quick hot delicious food. Great menu choice. Restaurant was clean and staff were friendly. Ask to be seated upstairs if you want a quieter table. Unfortunately the till isn't always open, therefore you have to go downstairs to order. 18/08/2018: What lip-smacking flavoursome chicken and side dishes! The staff are friendly and serviable. Thank you so much. Might Nando’s come to Paris one day? 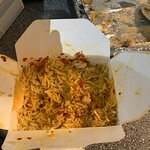 13/03/2019: The best South Asian food in the city. 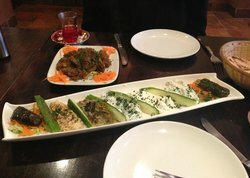 Excellent quality and authentic flavours from Afghanistan and Persia. A real shame it’s closed down as there is no where else in the city that comes close for food from that part of the world. 28/04/2015: Do not consider this to be a Persian restaurant. Food is everything but Persian. No wonder there are not many Persians customers. Bunch of rude people sitting there and using bad language and manager did not even bother talking to them and even joined them. 31/01/2014: Nos recibió el gerente que nos sentamos y nos hablaban sobre el menú. Para comenzar, teníamos una pequeña mezcla de todos los entrantes para compartir sugerido por el gerente que estaba delicioso. Mi novio y yo tenía la kooblideh (sp?) que era - jugoso y sabroso carne con algún arroz persa. Mi padre disfrutó su plato vegetariano demasiado - me olvidé el nombre - lo siento! La llama grill está abierto al restaurante para que pueda ver su comida cocinada. 11/03/2019: I just had a rice and chicken box from this place which I paid £4 for, I bought 5 for the family. When we opened it we were disgusted by the amount of chicken in the box. If I wanted just a box of rice I would have not paid £4 for and gone to Asda and cooked it myself. Stay away from the chicken box rice. Look at the pictures I don’t know maybe I’m greedy and love chicken, I don’t know. 02/08/2018: Shame about the slow service and dirty restaurant. Ordered a large family meal with many mixed items sampled most of the menu. Burgers and fried were horrible but the grilled chicken and lamb chops were fabulous! 14/08/2016: Si quieres tener una comida que debe ser 2000 cenar aquí cal. Los calamares no era muy agradable, así que suponemos que la comida sería igualmente agradable. 03/08/2016: Very good standard Turkish restaurant. Tasty food - starters are good, lamb dishes very tasty. Friendly service. Less busy than it deserves. 31/01/2019: Ordered flamingo special kebab and hot wings. Wings were lovely. Kebab was nice however the doner meat was so thin it was almost see through, the Adana kebabs were very good. 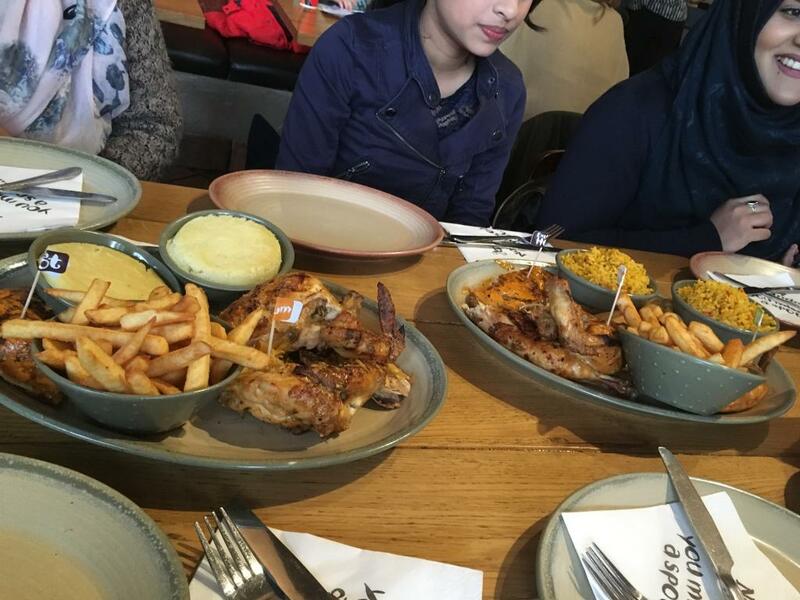 05/09/2015: great food, but service slow on this occasion and mix up with groupon voucher too meant they wouldn't accept on phone and i had to go home to print it as they refused to accept, or receive by email to print themselves. i will go back though as food is great and staff usually really good. 23/01/2017: We went to the restaurant at 21.01 and was really really nice great service great food definitely recommend it!! 30/05/2016: My friend and I were craving for grilled meats and decided to try out this restaurant. 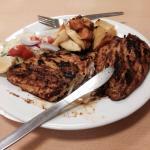 Tasty halal grilled chicken and lamb were served. We thought the expense was on a bit higher side though. 32 for 2. 18/01/2019: I get the same pizza from here and it’s always the tastiest. It never changes and is the same every time. Best pizza in Stortford. 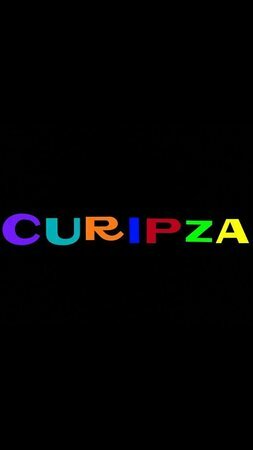 Don’t ever change Curipza! 20/08/2017: I honestly am so shocked at how clean it really is in there! Absolutely on point with the cleaning very hard to find a clean well run place around I will be back! Pizza was delicious! And prices are great highly recommend!! 23/04/2017: En los premier inn - a un corto paseo de 5 minutos a este restaurante. Excelente servicio del personal. Muy amable y dispuesto, para asegurarse de que teníamos una buena experiencia. La comida era buena y el restaurante en sí estaba limpio. Recomendaría este restaurante y volveremos de nuevo. 03/01/2015: Alojarse en el Premier Inn local, éste era muy conveniente chino para una comida para llevar. 5 minutos a pie y ordenados S &P; pollo, mein la comida y patatas fritas. Todo estaba bien, pero la Chow fue particularmente sosa. Es una pena que el servicio era amable y la comida fue rápido.